Coming off of People’s Instinctive Travels and the Paths of Rhythm, which was successful in some ways and influential in a lot of ways, the group still had a lot to prove. They were so young when they did PIT. “Bonita Applebum” was written when Q-Tip was 15. TLET was taking everything that brought them to PIT but then taking it to the next level and defining themselves as a group. Phife and Tip became like Pippen and Jordan, Kobe and Shaq, or Run-DMC. It was all about that yin-and-yang interaction between them. 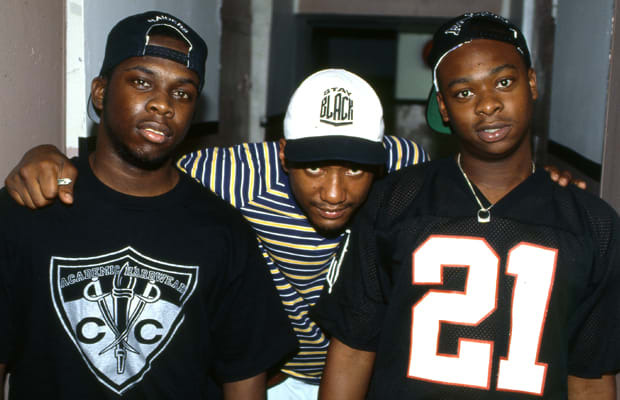 The biggest factor with TLET, group-wise, was the emergence of Phife. He didn’t really do much significant stuff on the first album. But with the second album, it really became a two-man group. He had solo songs on there like “Butter,” which is a classic, and of course “Buggin’ Out.” That song really showed how important Phife was going to be for A Tribe Called Quest. Phife and Tip became like Pippen and Jordan, Kobe and Shaq, or Run-DMC. It was all about that yin-and-yang interaction between the two of them. And of course, the back and forth of “Check The Rhime” really defined that. Going into Midnight Marauders they had already proved themselves and solidified as a group. So that album was about repeating and taking it to another level again. Which is easier said than done, but they did it. They followed a classic and upped the ante. Put it like this: TLET would be the first run at the championship ring, but it takes a different mentality to stay focused and do it again, as opposed to doing it for the first time. I gotta give this round to MM.